Enjoy the features of a graceful branch with pine cones in various stages of growth, the Ponderosa Pine Cone Single Sconce is a testament to your loving cooperation with nature. Made in the USA. 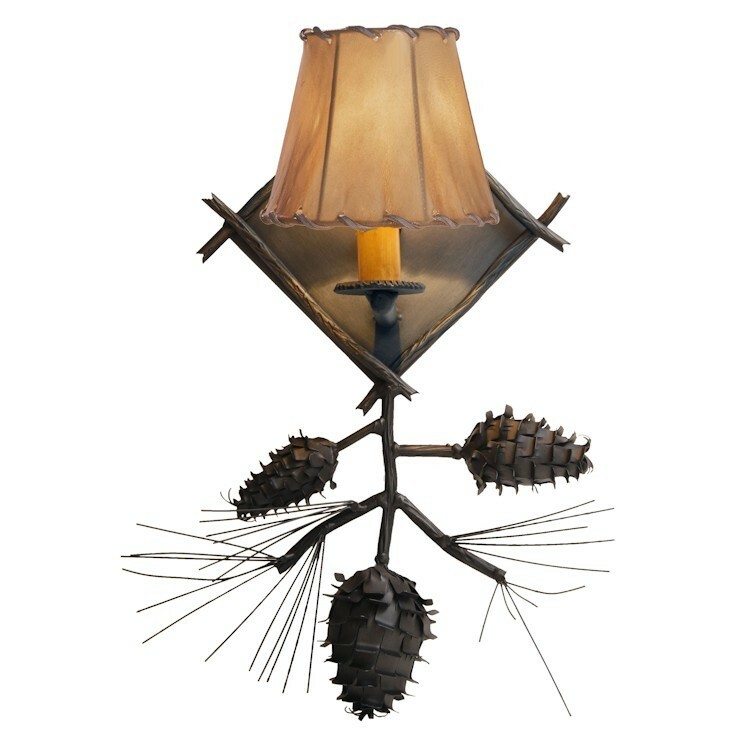 Enjoy the features of a graceful branch with pine cones in various stages of growth, the Ponderosa Pine Cone Single Sconce is a testament to your loving cooperation with nature.